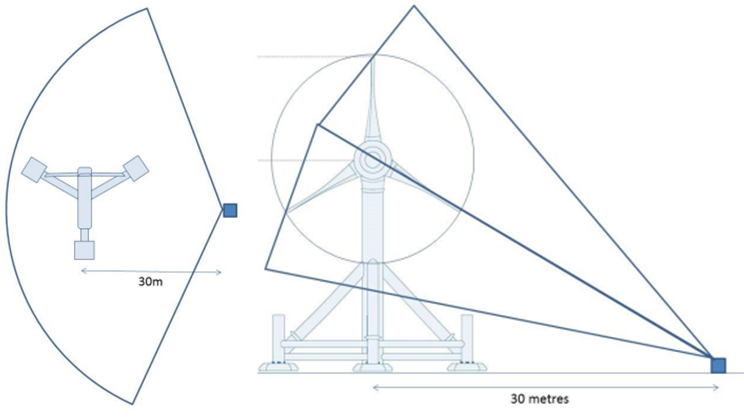 The Scottish Government Demonstration Strategy supported the deployment of 2X Tritech Gemini multibeam sonars (720kHz), stacked vertically, with a horizontal and vertical swath of 120° and 20° respectively. The system provides automatic software detection and tracking of marine mammals. It allows 3D tracking of marine mammal targets around the turbine rotor, with ID of seals versus cetaceans possible at close range which can also be differentiated with the help of PAM. Seal species ID is unlikely. Fish and diving birds are likely to be detected also but automatic software does not yet exist so processing data for non-marine mammal targets will be labour intensive. Species ID for fish and birds is unlikely. Pentland Firth Meygen AR1500 Multi-beam Echosounder Data: SGDS Project is located in United Kingdom.